A year’s supply of Hershey bars goes to the winning manager of this year’s World Series. Why? Well, both managers graduated from Pennsylvania high schools. Terry Francona from New Brighton in western Pennsylvania and Joe Maddon from Hazleton in the eastern portion. Guessing that Hershey is somewhere near the midway point thus the candy prize. So, which team will win? the ninth inning. 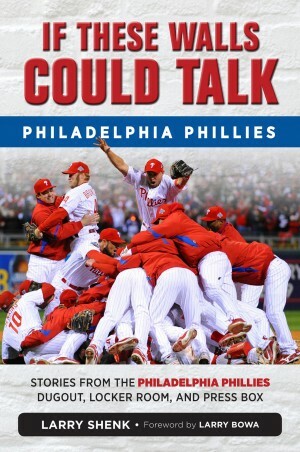 Phillies take 2-1 series lead. it out and were rewarded. 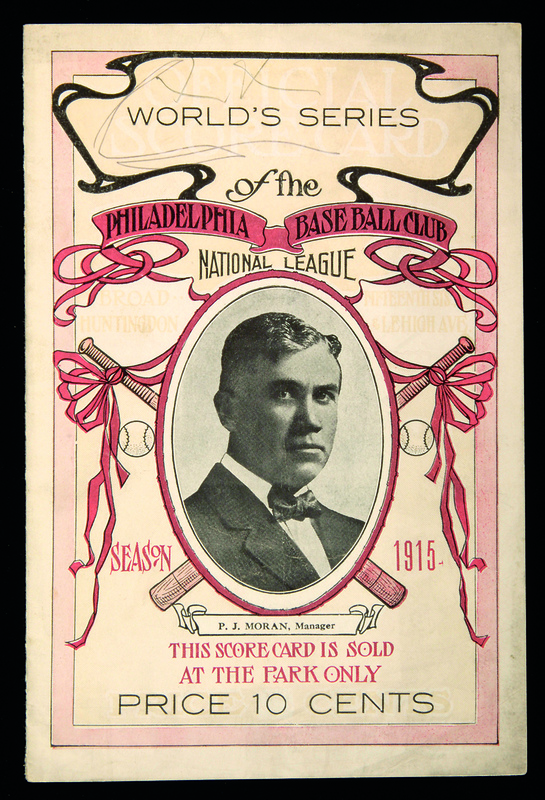 Phillies won their first ever World Series game, 3-1, over the Boston Red Sox, October 8, 1915, at Baker Bowl. RHP Grover Cleveland Alexander scattered eight singles in a complete game win. 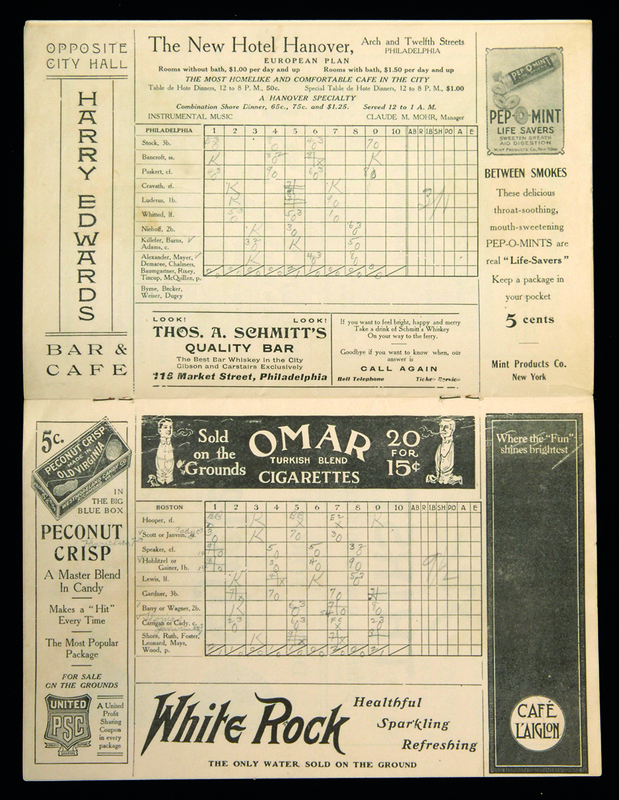 Babe Ruth, an 18-year-old left-handed pitcher who led the AL with 18 wins, was used as a pinch-hitter, his first WS appearance and only one in this Series. He grounded to first base in the ninth inning. Our prayers and thoughts go out to Hall of Fame pitcher Jim Bunning, his wife, Mary, and their family. Jim is recovering from a stroke in a hospital near his Kentucky home. He was hospitalized a week ago. From Cincinnati.com: Family friend Rick Robinson, who worked with Bunning while he served in Congress before moving to the Senate, reported Friday that Bunning was in good spirits and watched the postseason baseball games. Bunning, who turned 85 on Sunday, pitched for the Phillies twice, 1964-67 and 1970-71, during a 17-year major league career. 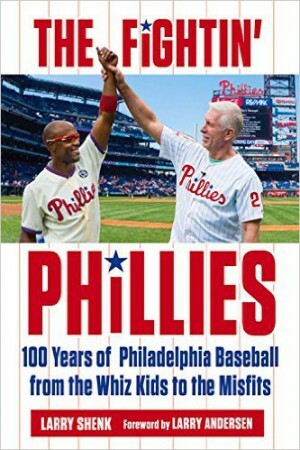 He annually participated in the Phillies Alumni Weekend. Politically he served as a Ft. Thomas, KY, City Councilman, Kentucky State Senator, a member of the US House of Representatives and Senate. 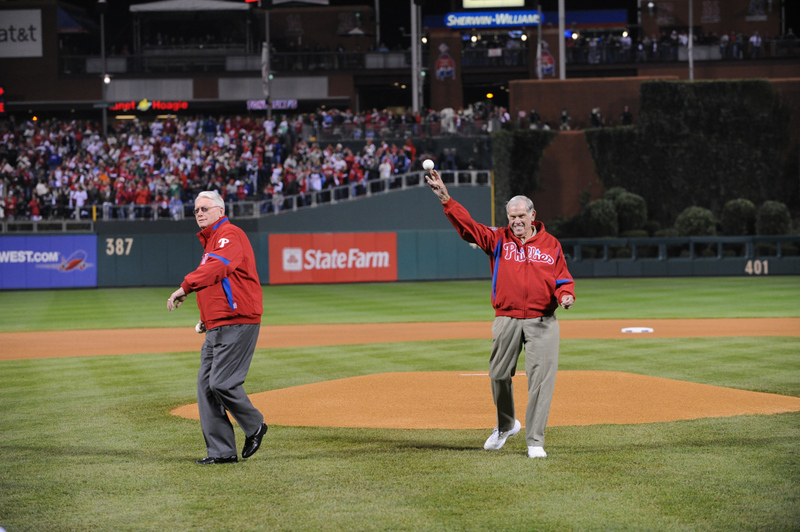 He retired from politics in 2010.
before World Series Game #5, November 2, 2009, at Citizens Bank Park.